The Philips 83C751/87C751 offers the advantages of the 80C51 architecture in a small package and at low cost. 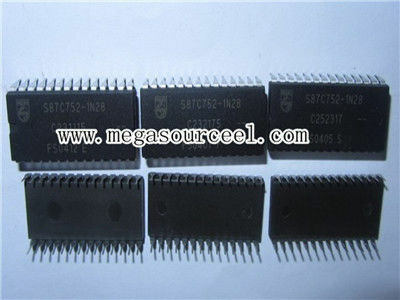 The 8XC751 Microcontroller is fabricated with Philips high-density CMOS technology. Philips epitaxial substrate minimizes CMOS latch-up sensitivity. 64 × 8 RAM, 19 I/O lines, a 16-bit auto-reload counter/timer, a five-source, fixed-priority level interrupt structure, a bidirectional inter-integrated circuit (I2C) serial bus interface, and an on-chip oscillator. 8XC751 to operate as a master or slave device on the I2C small area network. This capability facilitates I/O and RAM expansion, access to EEPROM, processor-to-processor communication, and efficient interface to a wide variety of dedicated I2C peripherals.